Unhinged! 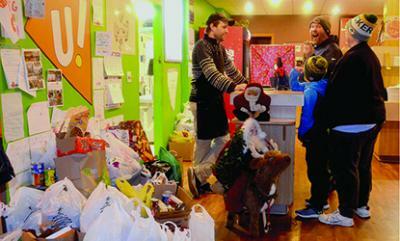 Pizza in Glencoe hosted the fourth annual free Christmas Day buffet to benefit the McLeod County Emergency Food Shelf. The event fed 1,115 people, collected 1,400 pounds of food and collected $4,062.